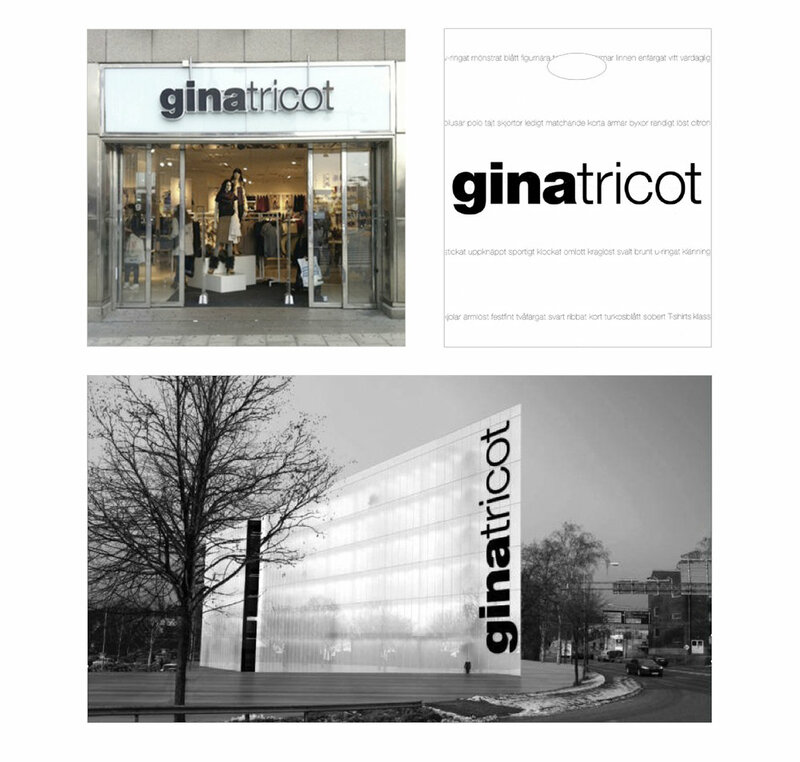 The Gina Tricot concept, brand name, visual identity and logotype was created by Elsa Lokrantz in 1997. Jörgen Applequist came to Brindfors Annonsbyrå in need of a communication concept for his new retail business idea, to sell fashionable tops made of tricot, at a reasonable price. A concept that later developed in to a wider range of fast fashion. Elsa Lokrantz developed the name, logotype and the concept “Nyheter varje vecka” (news every week). The first TV commercial was launched in 2004 and Gina Tricot was the first brand in the Nordics to put high street advertising with clear prices and offers in TV commercials, a media traditionally used exclusively for branding. Gina Tricot quickly expanded on a big scale, first in Sweden and later also international on four markets. Lokrantz & Co were up until 2008 responsible for all communication in TV, print, digital media and retail. Over 100 TV-commercials were created. Gina Tricot grew from 0 to billion-industry in 10 years.